Fall means football, back to school, cooler weather, and …. the flu. And these days, flu season has taken on a whole new meaning with the outbreak and continued spread of Swine Flu. So when I saw this article from Medisim, makers of the Temple Touch Thermometer, on how to prepare a “Swine Flu Combat Kit” for under $20, I had to share it. The Temple Touch Thermometer is quick, easy and non-invasive. In about 6 seconds, you get an accurate temperature without any of the issues of other thermometer types (probe covers, accuracy, invasiveness). And if you’ve ever been awake at 3 a.m. with a feverish child, you know that the less time and fuss required, the better! The Centers for Disease Control (CDC) warned that 2009 could be the worst flu season the nation has seen in years, thanks to the infamous Novel H1N1 virus or “swine flu”. 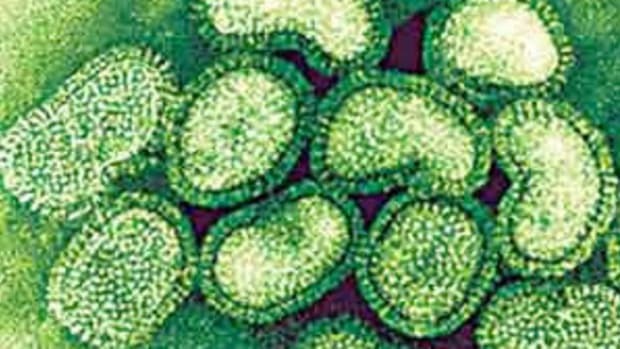 Some doctors say that last year’s flu season never really ended with outbreak of the swine flu. 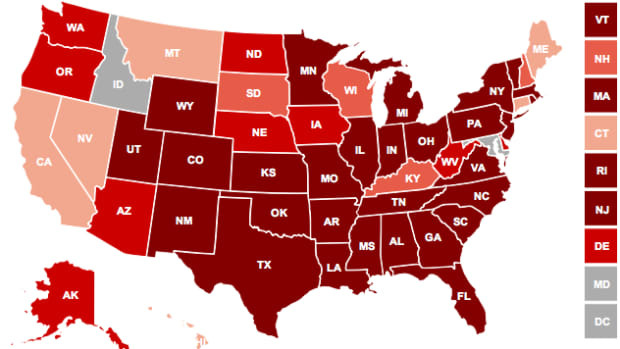 Regardless, the CDC expects flu activity to rise again, ahead of the regular flu season, as 55 million students and 7 million staffers head back to the nation’s 130,000 schools. > **The “Swine Flu Combat Kit”, which can be assembled for just under $20 dollars,**is recommended to avoid spread of the disease. 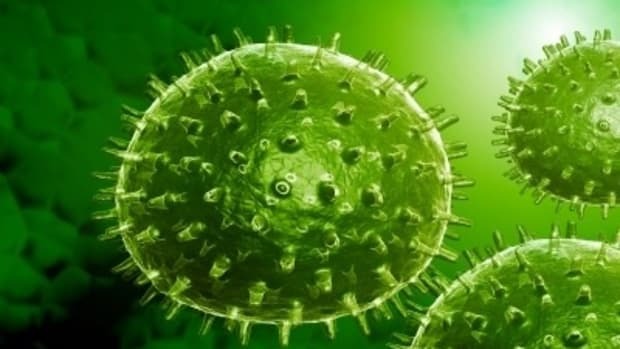 Swine flu may infect half the U.S. population this year, hospitalize 1.8 million patients and lead to as many as 90,000 deaths, more than twice the number killed in a typical seasonal flu, the White House advised this week. > 1. Temple Touch Thermometer – Advised are noninvasive, digital forehead thermometers, like the Temple Touch thermometer available at Wal-Mart for under $10.00 (Walgreen’s has them as well). These thermometers do not cross-contaminate dangerous germs like traditional digital stick thermometers. > 2. Hand Sanitizer – Pocket size bottles can easily be kept in book bags and lockers, briefcases and desks. Can be purchased at any drug store. > 3. Soap & Water – You should keep these items handy at sinks. School children should wash their hands every hour at school. > 4. Baby Wipes – Parents and students should use these to wipe down hands, lunchboxes, notebooks and all other school supplies daily. > 5. Tissues – Should be used to cover coughs and sneezes. > Other suggestions for the Combat Kit can be found at www.Flu.gov. 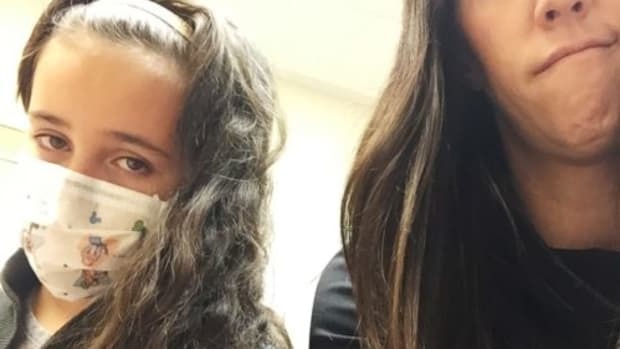 > To keep panic and the spread of the contagious disease at a minimum, many school systems are advising students and businesses are warning employees to stay away for seven days if they exhibit any flu symptoms. > 1. Fever. The number one symptom of any flu is a fever. Although, there are many similarities between the common cold and the flu, the key difference between the two is running a fever. According to the Mayo Clinic, more children miss school over the common cold over any other illness. To avoid a misdiagnosis, you should look out for a fever and then heed warnings to stay at home if a fever is detected. > * Only reported in some cases. While the information above doesn’t take the place of a doctor’s advice when anyone in your family is sick, it’s worth a look and a trip to the store. At this time of year in my not-too-distant memory, it seems I was tripping over flu vaccines.